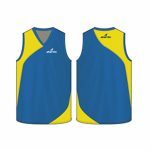 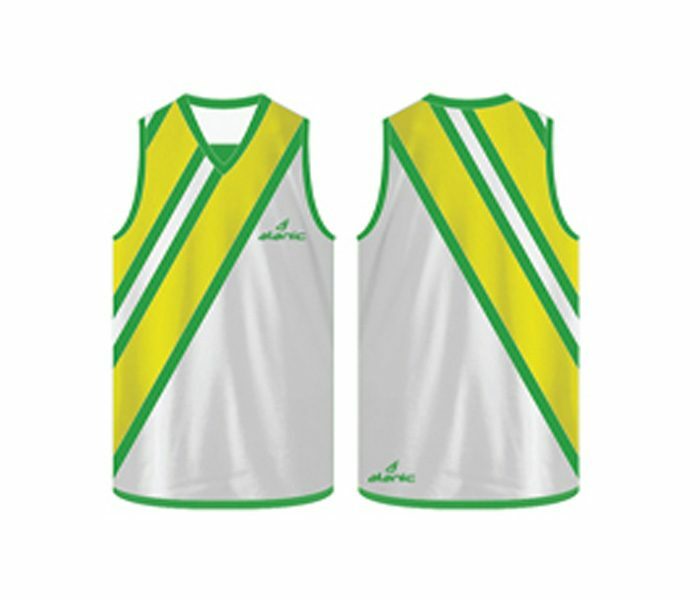 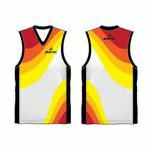 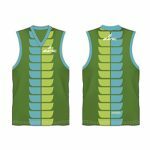 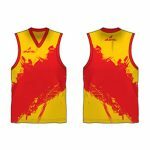 This sporty Australian Football singlet with a white base and yellow stripe print across the shoulder looks vibrant. 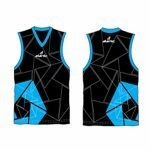 It is simple and distinctive and can be customized into many sizes. 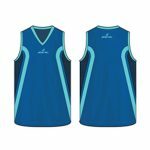 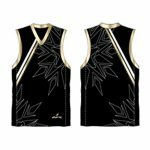 The material used is a blend of good quality nylon and spandex that gives it the “stretchy” feel. 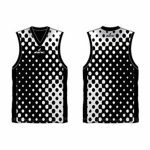 It comes with sweat lock technology and has microbial features.